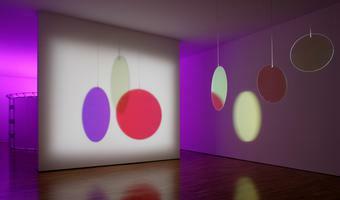 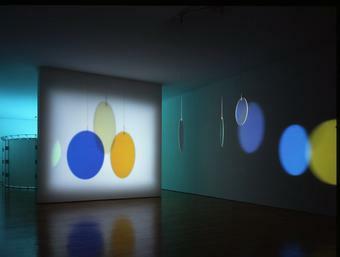 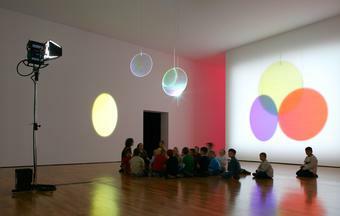 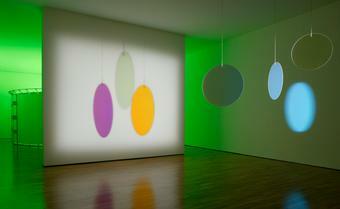 Three dichromatic glass discs of different sizes, suspended from the ceiling, rotate slowly in a seemingly random sequence. Each is a subtractive primary colour: cyan, magenta, or yellow. 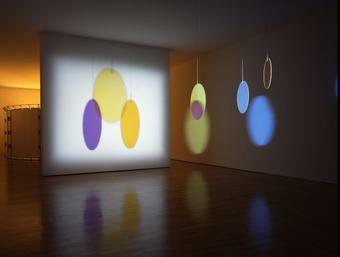 A spotlight shines light onto the discs, some of which is reflected off the discs as complementary colours, while some passes through them, creating a projection on the wall opposite the projector. 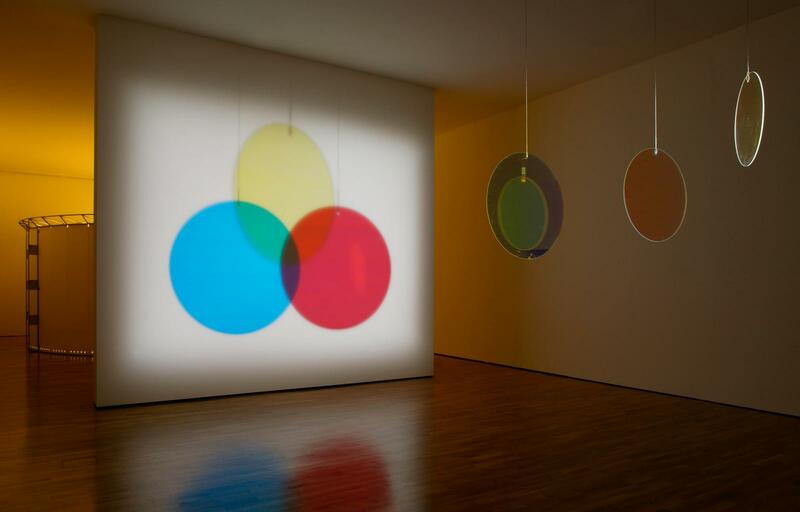 At a certain moment, the discs converge in a perfectly symmetrical projection, with each of the colour circles overlapping the next by an equal amount, thus creating the additive primary colours: red, green, and blue. 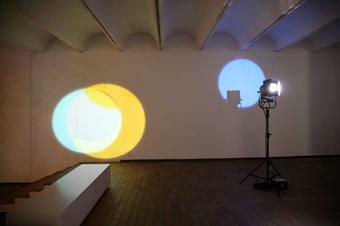 In the centre, where all three colours overlap, a small white triangle of light appears.